The Second Squad is investigating Sexual Abuse that occurred in Hicksville on Monday, January 6, 2014 at 7:03 P.M.
Update: January 13rd, 2014 - The Second Squad reports the arrest of James A. Catanzano, 53, of 26 Jefferson Street, Glen Cove for the above listed crime. He is charged with Sexual Abuse 1st degree and will be arraigned on Thursday, January 23, 2014 at First District Court in Hempstead. Hicksville, NY - January 15th, 2014 - The Second Squad is investigating Sexual Abuse that occurred in Hicksville on Monday, January 6, 2014 at 7:03 P.M. 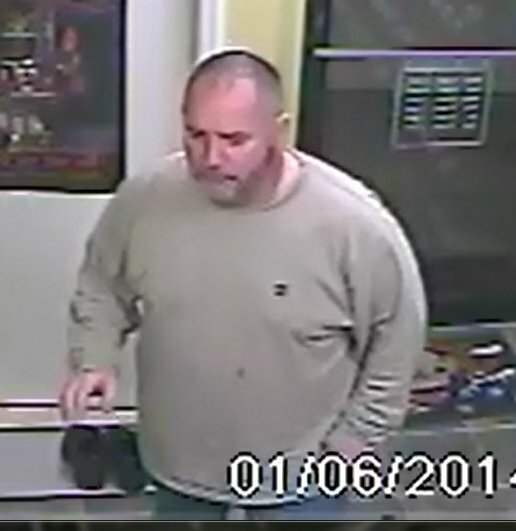 According to detectives, an unknown male white subject described as 40 to 50 years old, approximately 5’09” tall, 200 to 215 lbs., shaved head and beard, wearing a long sleeve tan colored tee shirt and blue jeans entered the Red Bell Spa at 107 Newbridge Road and asked for a massage. The subject was instructed to respond to a room, undress and lie on a table covering himself with a blanket. When the female victim (age unknown) entered the room the subject was completely exposed. He eventually lay down on the table and the victim covered him with a sheet. The massage began and the subject grabbed the victim’s right arm in an attempt to have her touch him in a sexual manner. The victim backed away from the table and the subject became agitated. The subject got off the table and backed the victim into a corner where a struggle ensued. He then touched her in an inappropriate sexual manner. The victim was able to leave the room and notify police. The subject then fled the scene by unknown means. No injuries were reported. Subject: LongIsland.com - Your Name sent you Article details of "NCPD Crime Alert: Man Wanted for Assaulting Masseuse at Hicksville Spa"